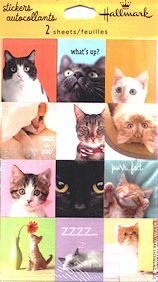 Here is a package of 24 stickers with cats and kittens. Each sticker is 1" square. There are two sheets of stickers in each package.